"We are excited to announce this expansion of our Streator facility as it represents the culmination of many years of investment in developing new products and expanding our customer base," said Sam Miceli, Vice President and General Manager of Vactor. "We are excited to announce this expansion of our Streator facility as it represents the culmination of many years of investment in developing new products and expanding our customer base," said Sam Miceli, Vice President and General Manager of Vactor. "It also underscores Vactor's ongoing commitment to its workforce and this community; both have been, and continue to be, outstanding partners in our growth." The first phase of the project will expand the existing fabrication, welding, paint and assembly areas, as well as the test bays. Additionally, the current training center and customer inspection facility will be updated. Overall, the expansion will add approximately 100,000 square feet to the existing facility. Construction is expected to begin in the first half of 2019, with completion targeted by the end of the year. Vactor's parent company, Federal Signal Corporation, is expecting to invest up to $25 million over the course of the expansion project, which will increase efficiency and capacity to supply the growing demand for Vactor's newly redesigned 2100i combination sewer cleaner and the TRUVAC® branded series of hydroexcavators. "With the continued momentum we are seeing with our "safe-digging" initiative that utilizes vacuum excavation technology over more invasive digging techniques, and with benefits from recent new product enhancements to our sewer cleaner lines, we see significant growth opportunities for Vactor, and for Federal Signal," said Jennifer Sherman, Federal Signal's President and CEO. "This is another significant investment in our Streator facility, as we look to add the necessary capacity in response to that growth potential. It also is a testament to the talented and dedicated workforce that we are fortunate to have in the Streator area." The project received assistance and support from the State of Illinois, the Illinois Department of Commerce and Economic Opportunity, the City of Streator, and the Greater Livingston County Economic Development Council. "We are pleased Vactor is expanding and investing in our city," Streator Mayor Jimmie Lansford said. "Success in attracting additional investments to this area of Illinois is the result of the collaborative efforts of state and local government officials, our local economic development organizations, and robust incentives to support growth." DCEO provides intergovernmental coordination on behalf of companies seeking new opportunities for economic development. "We are thrilled to partner with Vactor to spur job growth and increase its investment in Streator," said Erin Guthrie, acting director of the DCEO. "DCEO looks forward to continuing to work alongside the new administration to jumpstart manufacturing and ensure local businesses have the tools they need to thrive." Vactor began operations in Chicago in 1911, initially as the Myers-Sherman Company. 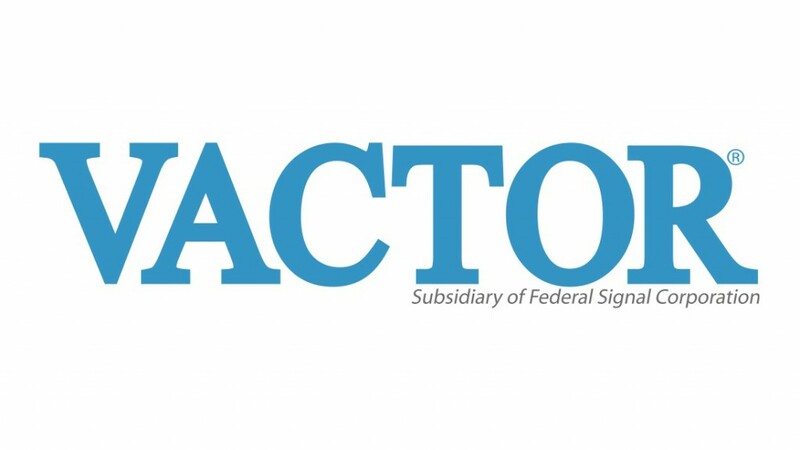 Federal Signal acquired Vactor in 1994. "Myers-Sherman relocated its operations to Streator from Chicago in the 1930s," said City Manager Scot Wrighton. "Today's announcement represents Vactor's continued investment in our people and our city. We are thrilled with the future opportunities this represents for the area." Vactor is looking forward to breaking ground and getting to work at the expanded facility. "The administration is committed to helping local companies expand their footprint, create jobs, and contribute to our economy," said Governor JB Pritzker. "With this significant investment and the addition of 90 new jobs, Vactor is growing deeper roots in Streator that will have a positive economic impact on the region for years to come."